Tweeting the photo (file photo with MTN Rwanda Staff) was in recognition for Ebenezer Asante’s appointment as Vice President (VP) of MTN Group’s altered Southern and East Africa and Ghana (SEAGHA) Region from October 1. The photo was taken on Friday during Ebenezer Asante’s regional visit to Kigali, Rwanda. 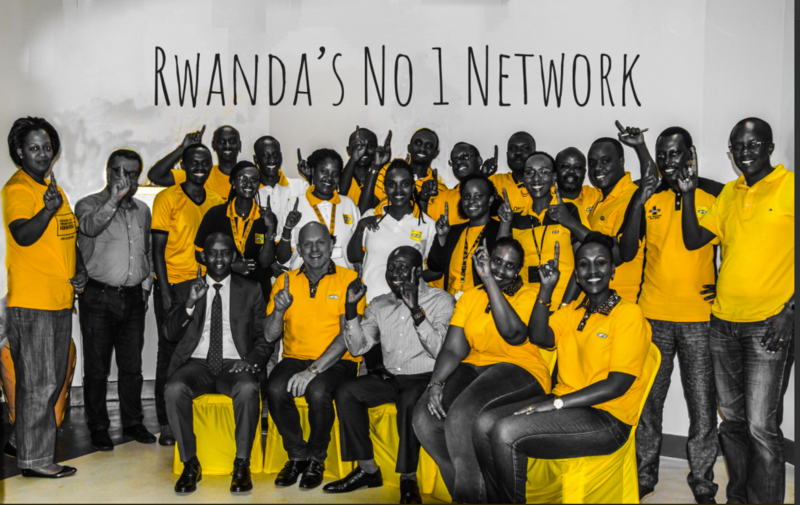 The new SEAGHA Region now comprises the telco’s mobile operations in Ghana, Uganda, Rwanda, Zambia, South Sudan, Botswana and Swaziland, as well as MTN ISPs in Kenya, Namibia and Botswana. Rob Shuter, MTN Group President, and CEO lauded the appointment of Asante, whose experience before MTN includes 13 years at consumer goods company Unilever as Managing Director for Zambia and Customer Development Director. “I am very pleased for Ebenezer; he is a great talent and business leader. His appointment to this new role not only speaks to our strong bench strength but the pool of talent we have within MTN. “Ebenezer will bring great value to the Group leadership team, to the benefit of our people and customers across the MTN footprint,” Shuter was quoted by Nigerian press as saying. The role of VP for the SEAGHA Region became vacant when Godfrey Motsa was appointed CEO of MTN South Africa in nearly seven months ago. Asante reports directly to the Group President and CEO is now a member of the MTN Group’s Executive Committee. The new VP is the reigning GITT CEO of the Year in Ghana and the CIMG Marketing Man of the year 2017.